Do you have a travel dream? Let us turn your dream into reality. To us, your trip is as unique as you are. 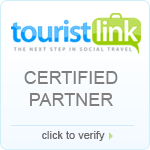 We are a tour operator company based in Arusha, Tanzania. We have been specializing in quality tours and safaris at reasonable prices for more than 20 years now. Our specialties include group and private tours in East Africa as well as tailor-made travel & safari packages. We live and breath Africa, and we have decades of combined experience designing safaris and tours. We specialize in tailor-making your tour to suit your tastes and budget. 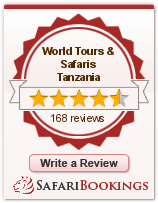 See our 300+ reviews on TripAdvisor and SafariBookings and feel free to call us at any time. Our safari itineraries and excursions have been designed keeping our distinguished customers in mind, and developed through personal experience. We understand that each customer has a different expectation from a safari, and so while some prefer a thrilling adventure, others tend towards a quieter, more relaxed time. Still others look for a romantic getaway or just great family time. Each of our itinerary packages therefore is tailored to meet the expectations of our guests, but each has one objective in common. To make the safari experience, memorable and something to be cherished forever. Whether it's your first African tour, we are here to guide you every step of the way ensuring that your experience is a memorable one. We offer the most diverse range of tours available, and all our tour packages can be customized to meet your specific requirements. To ensure that you book your safari conveniently, we have started accepting payment online instantly through Visa and Master cards. We also accept money transfer through WesternUnion, MoneyGram and mobile money transfer like Mpesa. Your safari adventures can be anything you would like- a wildlife viewing experience, a safari lodges, camping and walking adventure in a country that is still wild and unspoiled. Experience the greet wildebeest migration at serengeti to maasai mara. Mount Kilimanjaro with its three volcanic cones, "Kibo", "Mawenzi", and "Shira", is the highest free standing mountain in the world. There are seven official trekking routes to Kilimanjaro: Lemosho, Machame, Marangu, Mweka, Rongai, Shira, and Umbwe. Experience the cultural tours safari in Tanzania is unforgettable experience with maasai peoples are among the most welcoming and approachable on earth. You can spend days to know and experience the food and the social life of communities. Zanzibar has beautiful glittering waters and white sand beaches, palm-fringed islands and extra ordinarily beautiful coral reefs as tourist attractions. Wonderful holiday at the beaches will shed all the anxieties and breathe new life into an individual. Before even starting to plan a safari in Tanzania, ask yourself a few crucial questions. What kind of experience are you looking for: budget or luxury safari, or perhaps something in-between? When are you willing to go? How many national parks you’d like to visit? Identifying your own needs is the first step of careful safari planning. After that, you can either contact safari companies or start sketching the itinerary on your own. The World Tours & Safaris Tanzania team is comprised of people, who above all else, have an intense passion for travel and exploring the world. Never compromise on quality. All our accommodation, services and recommended restaurants are tested by our team. We offer you the most comfortable, high quality vehicles. Swahili verbs always carry with them the subject (and sometimes the object) and the tense. If you are looking for something very different and unique for your wedding, then consider a traditional Maasai marriage ceremony. Imagine donning traditional tribal regalia for a communally celebrated ceremony in one of the Maasai villages near the Ngorongoro Crater, complete with dances and chanting. For a large wedding with guests, the ceremony becomes elaborate. A goat is slaughtered and the groom is taken off to drink a locally made beer with the men. He then has to pay the bride's father a bride price a nominal cow (as opposed to the several cows called for by Maasai tradition). Our consultants are ready to assist you with your dream African safari tour. Sign up today, stay updated and receive the latest offers, news & information and event invitations from World Tours & Safaris.